﻿Bite Size Memoir – It Made My Day! Over the years, I’ve accompanied students on many eventful trips all over the world; some got lost, one travelled sans passport, another landed in the pilot’s cabin, lots got drunk, others saw ghosts… Honestly, I could write a book! The most memorable trip was to Italy with eighty mischievous adolescents who had made a pledge not to sleep while away from home. Our final stop was Venice. 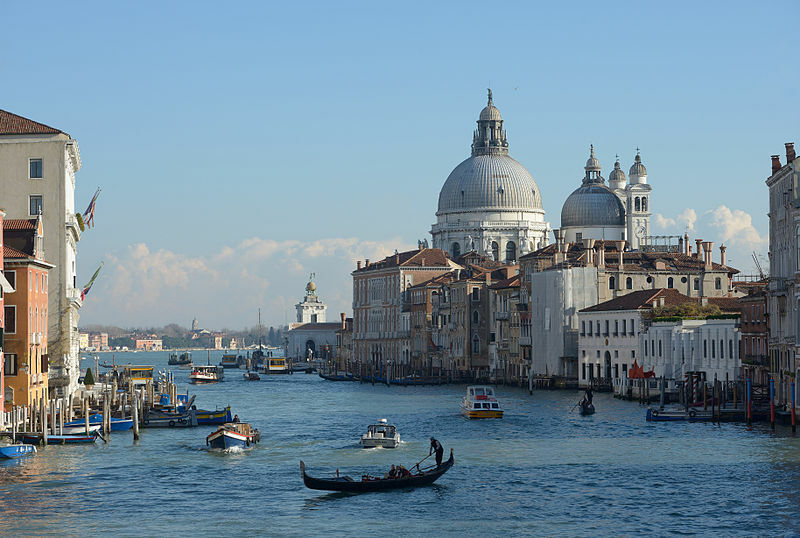 We arrived late at night to El Lido, and planned to take the ‘vaporetto’ and visit Venice that very night. Swollen legged, sick, fed up, and furious, I demanded my sleep, but they refused to leave me behind. This Photo was taken by Wolfgang Moroder. If you’d like to join in or read the other memoirs, they’re here! This week Lisa at her blog, Sharing the Story, has prompted us to write about holiday reads. Far too difficult to condense into 150 words! So I’ve just mentioned what I would have considered ‘lighter’ reading at the time, because it was not mandatory for school, college, or work. When I was at school, we had a very good school library, and during the summer holidays, I was an assiduous visitor to my local library. I remember Victoria Holt’s historical fiction and biographies enwrapped me for a few summers, together with Daphne du Maurier. At University I read mostly French and Spanish literature, and a great deal of English theatre, which was my passion, at the time. During the summer, I was probably having fun, and as far as I can remember, not reading too much. When my three children were little, I was a working mum. I remember buying books throughout the year and storing them on a bookshelf (I do the same now, except I store them mostly on my kindle instead! ), in no particular order, to read during the summer holidays. I loved detective and crime fiction, Ruth Rendell and Minnette Walters were my favourites for years. Now, my summers are no longer holidays, I write! The fictionalised autobiography of Marie Antoinette was one of my favourites, as a teenager. 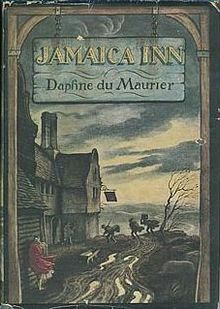 The mysterious Jamaica Inn, was a favourite, too. I moved on to crime fiction as a young mother, don’t ask me why! The Keys to the Street was one of my favourite. Acid Row was the last of her novels which I’ve read (I read all her previous novels), and another favourite. Would you like to read some of the other entries? Il y en a dix! I was an insecure and awkward child. Too tall, too shy, too quiet, and too many spots (I did so sympathise with Adrian Mole). The ensuing lack of self-esteem slowly decreased as I started to excel in small things. The first of these memorable moments was my French class, in the final year at Primary school. My classmates were nervous, as a new teacher started using strange, incomprehensible sounds. We were taught the numbers and some words, and asked: ‘Combien de stylos y a-t-il sur la table?’, and we had to reply: ‘Il y en a dix.’ Everyone was amazed that Lucy, of all people, was the only pupil to understand and reply to all the questions with correct pronunciation. 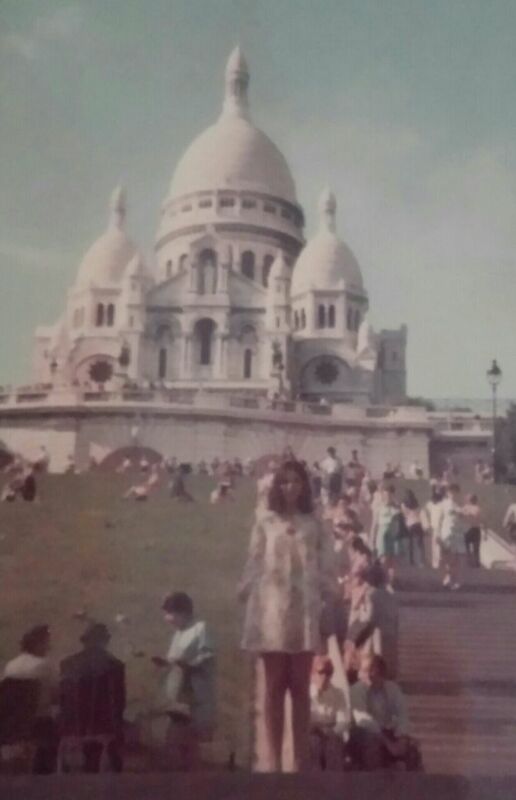 My family used to visit relatives in Paris every summer, on the overland journey, on our way to Spain. I had picked up some French over the years, which I had never imagined would come in so useful! This is a (very) old photo. 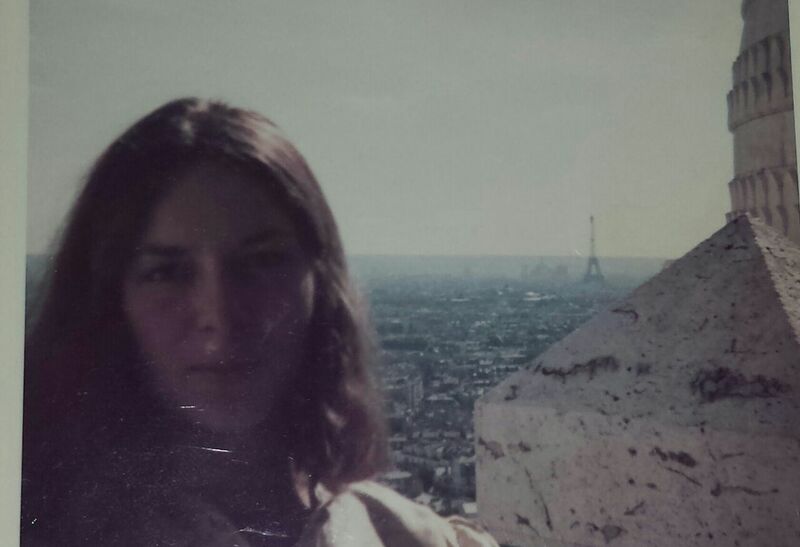 I can’t remember where I am, but it’s obviously Paris, because you can see the Eiffel Tower in the background, on the right. I’m about fourteen. I have fond memories of these long journeys, which started on the Golden Arrow, from Victoria Station to Dover, then a boat across to Calais, and a train again to Paris, where we’d stay for a few days, with my mother’s cousins, who had fled from Spain, after the Spanish Civil War. Then we’d continue on to Bilbao, by train, and from Bilbao to Santander, by coach. It took forever, but that’s how people travelled in the 1970s. I will never forget the white shoes. They were too tight, but they didn’t have a larger size, so I pretended they fit, of course I had painful blisters the next day, but I didn’t mind. It was a small price to pay for feeling like a princess. I wore a long white wedding-style dress with veil that my mother made. I had so many photos taken at home and at church that I felt like a star. I was a very excited seven-year-old princess, for one day. After the ceremony we had a party in the Church Hall, at St. Joseph’s, Harrow Weald. I was at Primary School then, and I’ve lost touch with all the other girls in the picture, which saddens me. I have met many people along the way, but few have remained as part of my life. Perhaps if we had had Facebook, and Blogs, and smart phones, we’d still be in touch…? 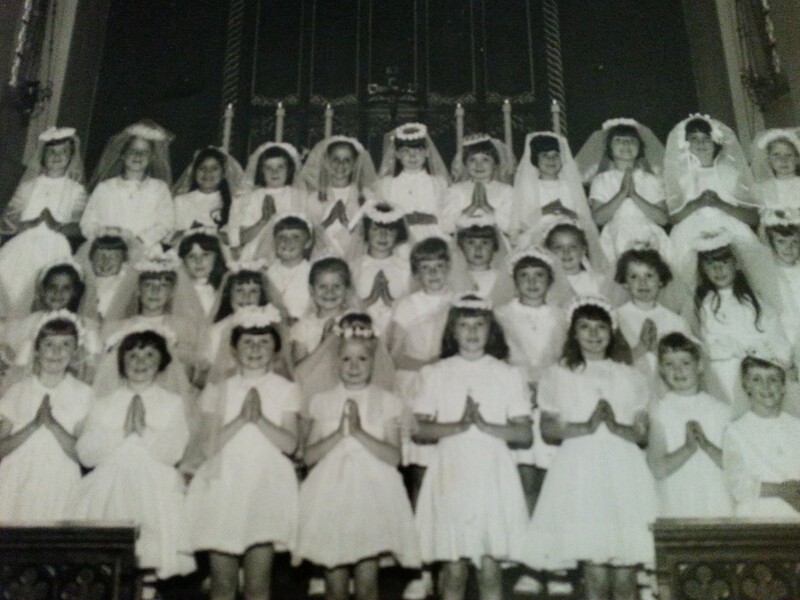 First Holy Communion. St. Joseph’s, Harrow, 1966? Would you like to have a look at some of the other entries? “Bite Size Memoir” is an invitation by Lisa Reiter for anyone to spend 5 minutes here or there (perhaps with a gorgeous little notebook), recording some snippets about their life. Each week, she provides a prompt for inspiration, so you don’t have to think where to begin. The challenge here is to keep it short with either 150 words of prose or poetry, OR 10 x “I remember ..” statements. Here’s my contribution to this week’s challenge. My childhood illnesses were not serious, and they were mainly related to winter. I was a stoic and recurrent sufferer of colds, flues, tonsillitis, and chilblains, which were not severe, but they were very unpleasant! Itchy swollen fingers trying to play the piano with two hands. Thermometers ancient, mercury, and glass. Running out of hankies and sniffing like bobcats. Lowering voices, mother’s migraine rules. Bite Size Memoir No.6 “First Jobs”. At the Bakery Department. When I was at school we all had Saturday jobs. My mother wasn’t too keen at first, because she wanted me to do well at school, but I convinced her that my marks wouldn’t suffer. I had always loved big department stores, so I decided to apply for my first job at Debenhams, the biggest department store in neighbouring Harrow, which was a thirty-minute walk from my house in Wealdstone. 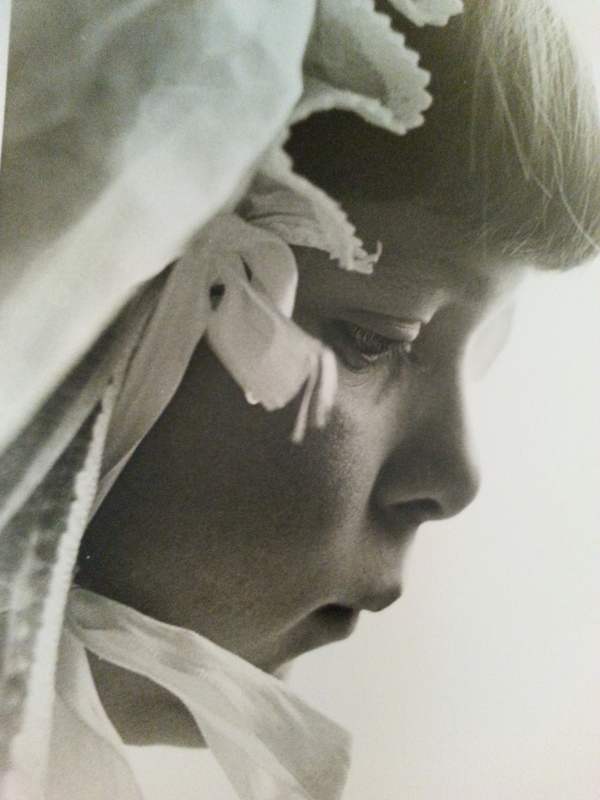 I was about fifteen at the time. I remember filling forms, and being interviewed, and feeling quite in awe of the managers. I imagined I’d be selling designer clothes, or make up, but my first job was at the bakery department. I had to wear a uniform and a cap, which wasn’t very glamorous at all! The first day was nauseous, I was sick that evening, although I proudly took a box of leftover cakes home for my mother and my sister. https://sharingthestoryblog.wordpress.com/2014/06/06/bite-size-memoir-no-6-first-jobs/ Have a look at some other posts! I was never too keen on sports when I was at school. I was more academically inclined, and at the time, both activities didn’t seem to be compatible! I was a defender in the netball team, because I was tall, however I was never very enthusiastic about it! But I did enjoy Sports Day at the end of the school year. Various coaches took us to a sports ground, somewhere in north London, where we competed with other schools. My participation was limited to cheering my school and friends, eating ice-creams, and rolling on the grass in my stiff school uniform, while the sun was burning my cheeks; it was always sunny on sports day! https://sharingthestoryblog.wordpress.com/2014/05/23/bite-size-memoir-no-4-sports-day/ Drop by and read some other memories! Thanks Lisa for organising and prompting!